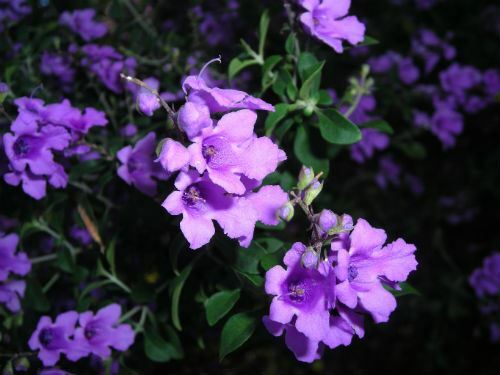 Prostanthera ovalifolia grows naturally along the eastern coast and into the tablelands and western slopes of NSW. There are many variants of this plant in leaf shape and flower colour. The plant labelled and sold as Prostanthera ovalifolia ‘Rosea’ is the one I grow and prefer. 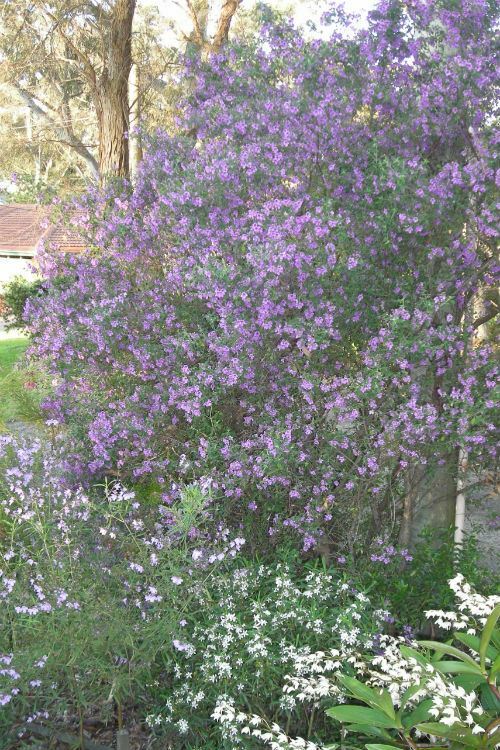 It has lovely mauve flowers that cover the plant for a far too short a period in Spring. Prostanthera ovalifolia ‘Rosea’ was the first mint bush that I grew in my garden in the northern Sydney suburb of Westleigh and the original plant lasted for well over 20 years. It is stunning in flower and has the added bonus of highly aromatic leaves – when brushed they fill the air with a delightful bushland fragrance. It is a rounded shrub that grows to about two to three metres tall with a similar spread. My plants are growing in a thin layer of topsoil over a clay sub soil in a well drained position and they do receive some additional watering in dry spells. They are very hardy and grow best in a position with part shade (they will tolerate a sunny position) and well drained soil. Prostanthera ovalifolia ‘Rosea’ is often considered to be short lived by many gardeners. I have not found this to be the case and one of the reasons may be that I do not keep the plant growing continually by providing ample moisture, especially in autumn/winter. They need a resting period, as in nature, when dry periods allow the plant to harden new growth and have a rest from growing. So keep the water up to the plant in summer and do not worry too much if there are the occasional dry spells for up to a month. The only maintenance required is to give them a good hard pruning after each flowering to keep it from becoming ‘leggy’ and to promote better flowering next season. I remove about a third of last season’s growth. They can be pruned even harder if needed. While I do not give them any fertiliser after planting, they do respond well to annual fertilising after flowering. I recommend that you grow three or more different together plants because when in flower the subtle differences in colours between different species create a lovely effect. The main flowers colours are white, pink, mauves and blues. The rarer Prostantheras have yellow and even red flowers.